I should begin this by saying I’m a late adopter – my wife and I just got our first iPhones in late November. I hadn’t had an iPod since about 2006, and all my Mp3 players have had horrific interfaces which made any sort of regular listening to podcasts a traumatic exercise. Consequently, I just recently got into listening to them – and I love it. My craving started with Radiolab, and blossomed into regular listening of On The Media, Snap Judgement, a few other shows, and an incredibly fervent week of listening to every single 99% Invisible episode ever made. I didn’t start listening to This American Life until the beginning of last month, so I missed the big Foxcom/Apple story that was apparently partially fabricated. But I can honestly say, I’m not surprised, and I’ll try to explain why. Disclaimer: I don’t consider Ira Glass to be a journalist or This American Life to be journalism. I know there is a thing called explanatory or narrative journalism, but journalism itself depends on these critical investigations which This American Life manages to avoid getting bogged down in (as Oppenhiemer’s critique later points out). The definition that was thrown around during my undergraduate was that journalism is a craft through which information is provided as necessary for the proper involvement of citizens in a democratic society. It’s what we need to know to make our society work. Glass is concerned with more than our civics, he is engaging us on other levels, and I’ll talk about this as well. Semiotics is an unfortunately pretentious body of mostly French literary theory. What I liked about it was that it gives you a toolbox of ways to think about how to make a story. Semiotics is uninterested in questions like, “What did the author intend?” Or “What does this story say about the author’s era?” Semiotics is interested in how a story gives us pleasure, how it draws us in, why is it satisfying for there to be suspense and for a story to resolve. It’s all about what makes narrative engage us. And so there are things that I learned as a semiotics major that I use every day on my job. Mr. Glass has given us a key clue to his modus operandi, the importance of narrative engagement and the arrangement of signifiers and signified to create relevance (or meaning) for the audience. This narrative engagement was key in an oral culture. Walter Ong is probably the authority on such traditions, and he wrote on the memory of such a society being “thematic and formulaic.” Epic myths were repetitively told with mnemonic devices to aid the performer. The values and words of such societies take on a type of permanence, forming “the substance of thought itself.” In writing/recording the Poetic Edda, for example, Snorri Sturluson was not concerned with the truthfulness of the story, but it’s poignancy and ability to provide an audience with a chance to create meaning. Such a thing is not uncommon in the world today. An episode of On The Media examined the contentious relationship between essayist John D’Agata and fact-checker Jim Fingal. I don’t necessarily believe that a nonfiction essay has to strive for an objective account of an occurrence as its primary project or that the writer is ethically obligated to secure the reality of an event in cultural memory. And I’m all for the beaux mots (note: I thought he said Pomo in the original piece) historiographic metafictional appropriation of events and personages. But there still seems to be something strange about doing this sort of thing with someone like Levi, who is just a teenager, after all, just a kid in Las Vegas, not a cultural figure or an icon whose life is for the taking and can be radically manipulated and reinterpreted. I mean, clearly it’s not like you’re defiling his grave by propagating these inaccuracies, but it’s kind of like you’re being dishonest about where that grave is. 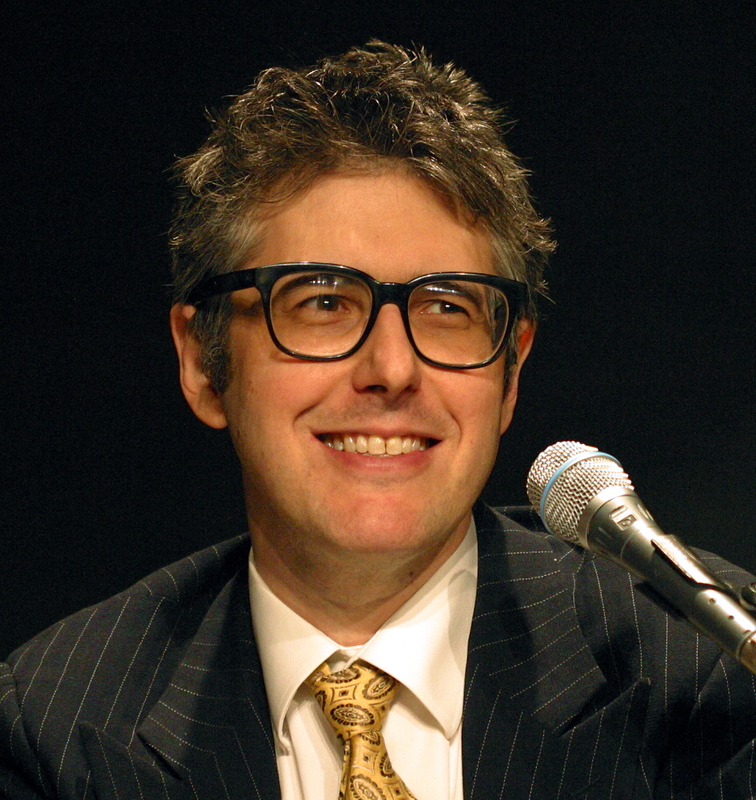 Ira Glass works in much the same way as an essayist – he is concerned with the performance of a story. While he works in an area with traditions of accuracy and accountability, as a cousin to journalists and in a medium where you either create radio dramas or the news, he has more to do with Cicero and Demosthenes, who was coached by an actor, and had a routine to perfect a technique. Glass himself has a method. I’ll be honest and say at this point, I’m not a huge fan of Glass. I don’t really know why, but in searching for why that might be I came across a terrific critique by Mark Oppenheimer, from when Glass performed live at the Schubert in New Haven. The contrived (though totally winning) world of This American Life depends on a perfect marriage of form and content. The form is provided by the three-act structure, Glass’s pause-swallow-um, the perfectly selected music (I didn’t know Stevie Wonder’s sublime Mistra Know-It-All until I heard it at the conclusion of an act on This American Life), and the rest of the radio architecture that Glass and his crew have mastered so well. The content, however, is a bit harder to pin down. Certainly there is an emphasis on the little people, non-celebrities. But it’s not quite the kind of relentless emphasis on the common man and woman for which, says, Studs Terkel or Joeseph Mitchell is celebrated. Oppenheimer’s criticism is more directed toward’s Glass’s lack of critical or journalistic investigation that we would be used to in such a production. As he writes about a segment seemingly filled with holes, “One gets the sense that [Alix] Spiegel could have parachuted into Vietnam in 1970, asked the villagers about their innovative rice-farming techniques, then hitchhiked to safety, neglecting to ask where all the men in the village had gone.” But again, Glass is an expert at delivering the non-cerebral to an audience that gets its fill of such intellectual pleasures elsewhere. This American Life is about a search for meaning, not truth. Such distinctions also bring to mind Deleuze’s interpretation of the virtual and the actual. The reality of the virtual is “actual” reality produced by many different potentialities. Purely actual objects do not exist. Every actual surrounds itself with a cloud of virtual images. This cloud is composed of a series of more or less extensive coexisting circuts, along which the virtual images are distributed, and around which they run..
…an actual perception surrounds itself with a cliud of virtual images, distributed on increasingly remote, increasingly large, moving circuts, which both make and unmake each other. These are memories of different sorts, but they are still called virtual images in that their speed or brevity subjects them too to a principle of the unconsciousness. What we see in Glass’s work is this type of oscillation, the same type that creates myths and stories and legends, the way memories shift and take a form which we can relate to and cherish, in positive or negative ways. But we see it at a rate which goes past actual perception – in the Foxcon story, the mirror image has engulfed This American Life and left it as a virtuality, and now that we know this, we are terrified by the implication, but we were truthfully ready to believe it because of what we already know to be true about Foxcon, predatory capitalism, and terrible conditions for industrial workers who manufacture Apple products. We are aware of the meanings, the morals of our myths, and we are more than eager to adapt reality to this virtual understanding. As the most valuable company in the world today, Apple certainly meets Fingal’s conditions for beaux mots/pomo “historiographic metafictional appropriation.” News media refers to the economy with all the reverence owed to the chief god of a pantheon. If economy is a cosmological deity, then Apple could certainly be one of its sons, or at least a Demigod; son of Steve Jobs and the tech boom. Writing of Foxcom as a Fenrir character, personified moral guilt unbeknownst to us, waiting to destroy Apple’s supremacy, is only sensible. To fudge a few facts is only expected when we are more concerned with creating an engaging narrative than we are journalistic traditions. Which is why Glass produces these pieces of audio theatre in acts and episodes, with story arcs and all the trappings of literature, rather than history or journalism. Mike Daisey, with his theatre background and openness about how he made the story, at least appears honest about that process. If Ira Glass protests, it’s because he has to maintain a pretense of legitimacy, and pay homage to the traditions he knows as a reporter and to the medium through which he produces his show. It may not be straight news, but it certainly isn’t purely radio drama. Disavowal of the story lets you know that This American Life still cares that its signs and symbols, characters and plot devices still exist somewhere in the real world, in some shape or form. The arrangement may still be an artistic process, but they still try to be authentic to some actual objects. And if I got anything wrong, remember, this is an essay, a virtual “reality,” and not any sort of concrete, material, empirical phenomenon. Gills Deleuze, The Actual and Virtual, in Gilles Deleuze and Claire Parnet, dialogues II, Columbia University Press, 2002. Clifford Geertz, “Thick Description: Toward an Interpretive Theory of Culture,” in The Interpretation of Cultures, New York: Basic Books, 1973, pp. 1-30. Mark Hansen, “Media Theory,” Theory, Culture & Society, 23(2-3) (2006): 297-306. Walter Ong, Orality and Literacy (New York, NY: Methuen, 1982) 35. This entry was posted in Media Studies general, myth, Theory and tagged Deleuze, Ira Glass, media studies, media theory, oral culture, podcasts, semiotics, This American Life. Bookmark the permalink.